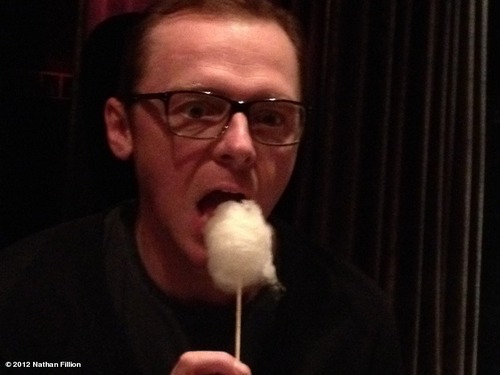 Check out Simon Pegg – Wearin’ his Otchkies and Poundie-Wounding a Bit of the Old Cotton Candy! Mr. Pegg is putting a touch of the sladky stuff straight into his gutti-wuts. Nicely Pounded, Sir! Be sure to brush, Simon – that stuff is bad for your zoobies! Tip of the hat to Simon’s droogie, Nathan Fillion! Werner Herzog didn’t think Errol Morris would ever complete Gates of Heaven, his documentary about a California pet cemetery – Herzog said he would Pound his shoe if the movie was ever finished. In 1978, Gates of Heaven was released. 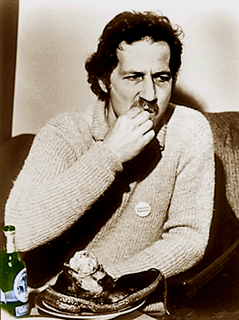 Shortly afterward, Herzog Pounded It. And shortly after that, the shoe-pounding was also made into a documentary. He didn't have to eat the sole or the laces, equating them to chicken bones and feathers. Seriously.